A setting and series of adventures for the Everywhen RPG. Includes 5 pregens, blank character sheet and a map of Neo Tokyo. Note: The PoD has black and white interior art. "Colour books" have been used for heavier paper and improved image quality. Early purchasers of the PDF have until 24 March 2019 to claim their $5 discount on the PoD. Please email filigreeforgepublishing at gmail dot com with details of your purchase. Version 1.03 has a font error: "CCElephantman-Italic cannont be found or created". The entire layout does not display correctly. This should now be rectified. Sorry for the inconvenience. I have just downloaded and viewed on my phone (which doesn't have Elephantmen installed) and the document is now showing correctly. How did you go about redownloading the file? Downloaded it through the update page and again from the product page. Downloaded it both as individual files and in a .zip archive. The font problem doesn't exist in version 1.0, just 1.03. I just downloaded the cover and no cover version to check. I do not have this font installed and no issues at all. PC and mobile. What PDF reader are you using? Thanks Marcus for helping. Michael is it perhaps a browser cache issue? Marcus: Acrobat Pro on an iMac running the latest version of Mojave (10.14.3). Phil: Cleared my cache, deleted cookies and site data, relogged. No change. 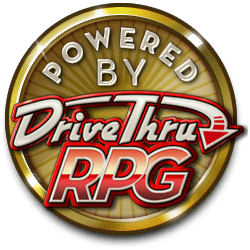 Micheal, can you please raise a support request with DriveThruRPG / RPGNow as there's nothing more I can do my end. I uploaded a new document yesterday, which I and another have confirmed is ok, however you still appear to only have access to the previous document and I have no control over that. Once again apologies for this inconvenience. There's no way for me to identify a new version, since the file name is unchanged. Usually new files append to the bottom of the file listing, so the update may not have taken. Never got an email notification about any update, so I guess we'll have to see what OBS tech support has to say. I will upload a version 1.03a either tonight or tomorrow, which help in identifying where the issue might be. From memory I believe the updates were minor layout updates conducted for the PoD version, so reverting to 1.0 might be the best option until we have it rectified. New pdfs uploaded, titled 1.03a.